“I have been sewing since I was in High School. My grandmother was the first person to teach me how to sew,” says Sandy Fortna, a member of the Annville Church of the Brethren. 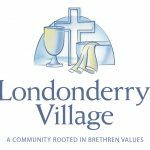 Sandy, who has close ties to Londonderry Village, thanks to members of her church who live here and her husband, who currently serves on the Board of Directors, tells me about a wonderful way in which the Annville Church of the Brethren gives back to Londonderry Village. For as long as Sandy can remember her church has always had a quilting group. This group consisted of members and nonmembers alike. “We currently have about 6 ladies who get together every Tuesday morning for 2-3 hours to quilt.” These women gather in fellowship to share their talents of sewing. The church has created their own sewing room in the basement that only they use. Throughout the year, this group of sewers have created hundreds of quilts, wall hangings and table runners. Each year various quilts and table runners are donated to help support Londonderry Village’s annual Chicken BBQ and Auction, which helps to support our Good Samaritan Fund. “We enjoy donating each year. We know the money made off these items are going to provide financial support to elders in the community who have exhausted their financial means. We have donated for as long as I can remember,” says Sandy. The only other cause that they donate to is the Brethren Disaster Relief Auction, which is held each year in the fall. These handmade items, which can sometimes take 7-8 months to create and include different patterns and colors all, have a special story. This year’s story has a particularly deep connection to our community. A beautiful unfinished quilt top was found in the home of resident, Charlotte Wampler, who, until her passing loved sewing and creating quilts in the comfort of her home here, at Londonderry Village. 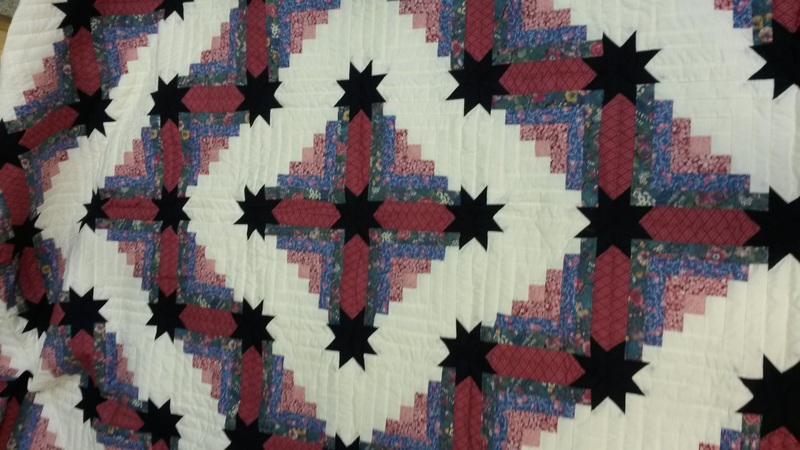 The quilt top was donated to the quilting group at the Annville Church of the Brethren, and in Charlotte’s honor, added filler, backing and binding to complete the quilt. This special quilt, will be sold to the highest bidder at this year’s auction on Saturday, July 28 at 9:00 a.m. in the Di Matteo Worship Center. Bidder numbers are available starting at 8:00 a.m. The auction preview will be Friday evening from 5:00-7:00 p.m. and before the auction starts Saturday morning. For more information about all the exciting events happening at this year’s Chicken BBQ and Auction, please visit www.londonderryvillage.org and click on “Events” tab in the top right corner of the page. 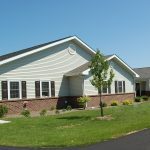 Londonderry Village is located at 1200 Grubb Road in Palmyra.